#7 in our series: Meet the Team! Here's Rene Vazquez. Image note: Rene began his career with IJM in the Guatemala office (where this picture was taken), where we are working to protect children from sexual violence. 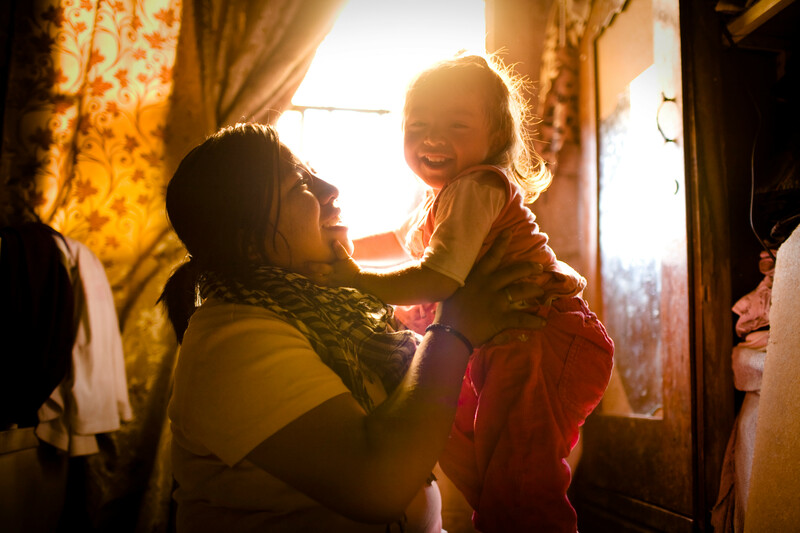 To find out more about IJM's work in Guatemala, please see this page on our website. How it will work: I (Clara Campbell, IJM's Advocacy & Mobilization Communications Manager), will interview each of the members of the team. There will be a mix of serious and fun questions, and ideally, after reading each post, you'll feel like you have a better idea who we are. Meet Rene Vazquez, Field Organizer. Q: Rene, describe your job here at IJM. A: I am a field organizer. I train and mobilize constituents to use their voices and collective power to make sure that their elected officials support U.S. federal legislation that seeks to put an end modern slavery all around the world. Q: What about IJM and their work do you find particularly compelling or inspiring, and what brought you here? A: My wife and I have always been passionate about working with the poor. Thankfully, IJM provides Monica and I the opportunity to fulfill our passion. It’s a great fit! Q: In your own words, what is advocacy, and why do you believe it is important? A: Jesus strikes me as a fierce advocate for the wellbeing of the poor and the powerless. Mathew 18 shows Jesus holding a child while he instructs the crowd around him that it would be better for them to be drowned in the sea than to cause a child to stumble. That’s a pretty strong statement. I really like this depiction of Jesus. Q: Can you think of a client story that makes this work worth it to you? 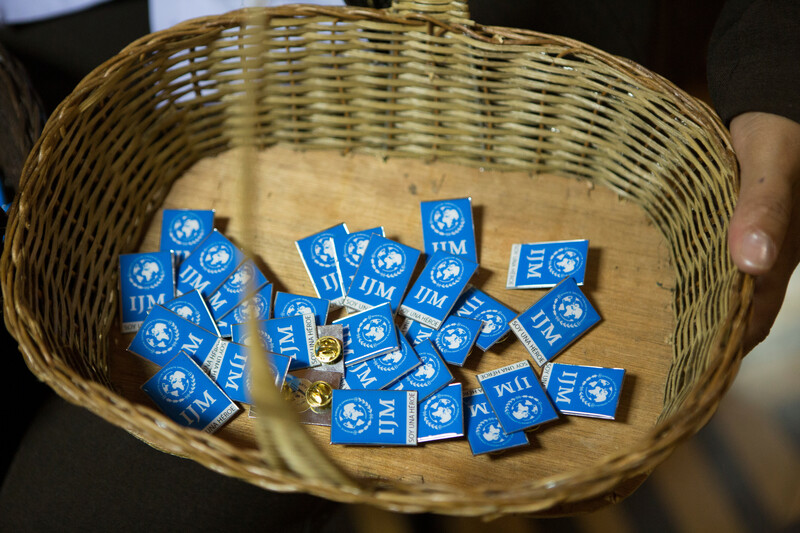 A: I began my career with IJM in the Guatemala field office. One day I was working in my office and one of the aftercare staff members asked me to participate in the “pinning ceremony”. I had no idea what this was so I blindly walked into a large conference room that, to my surprise, was filled with our clients and their families. I was quickly given a lapel pin and told that I would be pinning it on a survivor of child sexual assault. Gulp. So, I nervously stood there as the staff began to call up children, ages 5, 6, 7 years old to receive their pins. When it came my turn, I solemnly knelt down, pinned a very small gold pin on the lapel of a child who had bravely testified in court against her abuser. I told her squarely, “You are a hero. Thank you for being so brave as to testify against your abuser and in so doing you now stand as a powerful example of what is possible.” Justice is possible. It is a real thing that is brought to bear on behalf of real children whom God loves. That experience has changed me. Q: Let’s talk about your life outside the office. Where are you from originally, and where do you call home now? A: I was born in Puerto Rico. When I was 5 years old I moved to Orlando, Florida and have been there ever since. Q: Name one place you’d like to visit, but haven’t been to yet. A: I’d like to visit Spain. Q: If you could name one book everyone should read what would it be? A: Funny enough, the one book or rather series of books, that I’ve enjoyed most have been the Chronicles of Narnia. I was in my twenties when I first read these books and they have left a lasting impression on me. But, if I have to choose one, my favorite book would have to be The Silver Chair. Q: What is one thing you have learned from working at IJM? A: Great things are possible if you refuse to believe the lie that says, “Nothing will ever change”. Everything changes, that’s the nature of everything. Q: Finally, what is your favorite thing about your job? A: I love working with people who refuse to be paralyzed by the darkness in the world but would rather change it. These are my kind of people. Go to the Government Relations & Advocacy Team Page>> Note: we are currently working on updating this page! I love working with people who refuse to be paralyzed by the darkness in the world but would rather change it. These are my kind of people.